Are you a planner? I am. I actually describe my self as a "Super Planner". I cannot function without a plan. I live by my Dad's motto: "Plan your work and work your plan." I plan out everything - work and personal. I already have our Christmas vacation planned and booked. I typically book our trips 6 to 12 months in advance. Once I've booked the hotel room, I go back periodically to the hotel website to see if the rates have dropped. I've saved hundred of dollars by checking rates after we've booked. I don't typically plan out my work as far in advance. 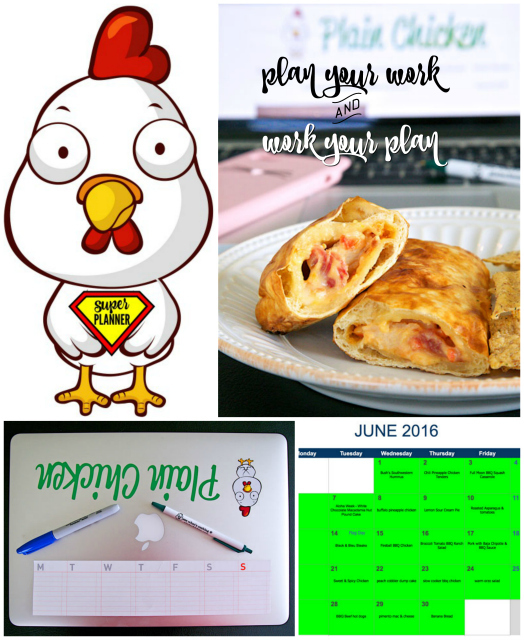 I plan my work daily, weekly and monthly. I set my weekly and daily goals on Sunday. I use these awesome sticky notes. 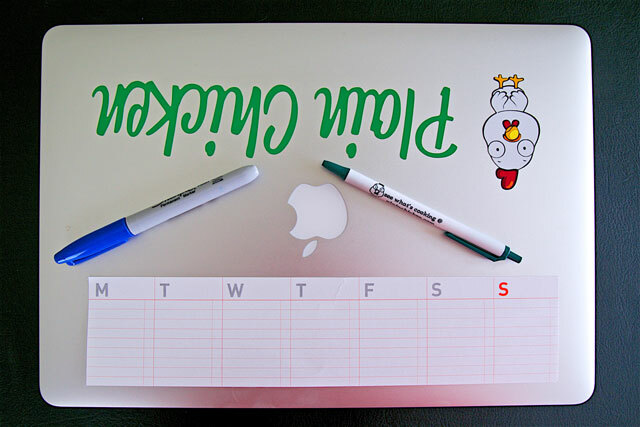 I stick them on my laptop and mark everything off as I go. I use the sticky note on the computer for the current week, and plan for the next week on the sticky note that is still on the pad. I cannot live without these sticky notes! I definitely use my iPhone calendar for most things, but I am on my laptop all day and like to easily see what I need to do. For my monthly goals, I use Google Sheets. 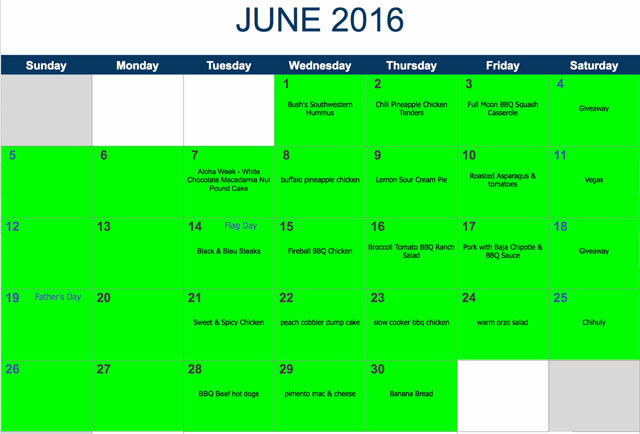 I have a calendar and plan out my blog posts for the month (so I know what to cook). Once the post is ready to be published, I change the color to green. I love using Google Sheets because I can check my plan when I am on the go. I can't tell you how many times I've pulled this spreadsheet up when I am running errands. To stay on task, I am often grabbing a quick lunch while running errands or writing a blog post. My go-to lunch is a Lean Pocket. Right now I'm loving the Roasted Turkey, Bacon and Cheese Lean Pockets with a pretzel crust. I mean, how can you go wrong with bacon and hot, ooey, gooey cheese?!?! I love that it is a filling meal with TONS of great flavor. A Lean Pocket and some baked chips totally fills me up. We recently moved, and I lived on these Lean Pockets. I had too much going on with working, packing and moving. I didn't have a ton of time to stop for lunch; so heating up a Lean Pocket was perfect! I am totally addicted to the pretzel bread! I LOVE anything wrapped in pretzel bread, and these Lean Pockets satisfy that pretzel craving. 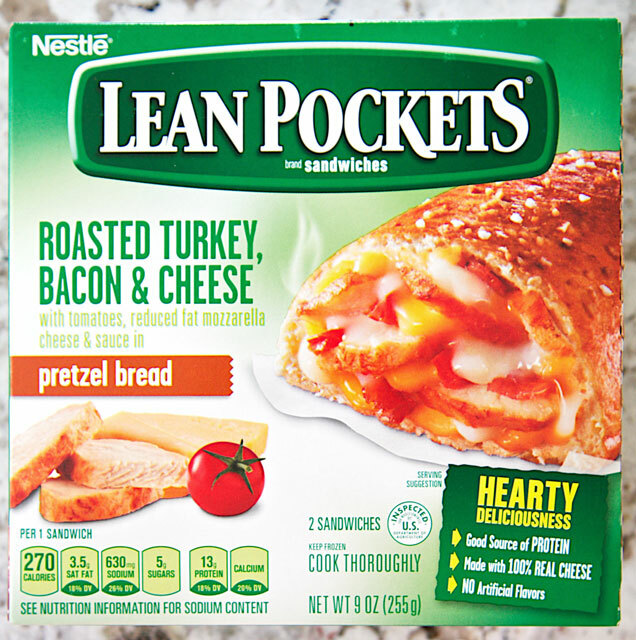 Lean Pockets are sold at Target, Walmart and most grocery stores. I bought mine at Target. If you aren't a turkey fan, I also LOVE the White Meat Chicken Jalapeño & Cheese with a pretzel bread crust. Again, pretzel crust! What is your favorite variety of Lean Pockets or Hot Pockets? Tell me in the comments for a chance to win a $100 Visa gift card! The Philly Cheesesteak Hot Pockets have always been my favorite! I love the same ones you do. The pretzel crusts are a game changer and I wish there were more. 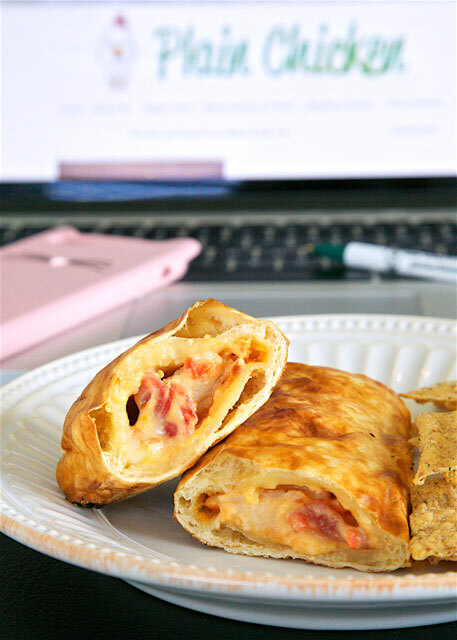 I also eat the ham and cheese hot pockets as a standby I never get tired of. I always eat the pizza pockets! I love the meatball lean pockets! I really like the breakfast sausage, egg and cheese lean pocket! I love the breakfast ones and the pizza pockets! Since I was a kid, I have always eaten the ham and cheese! I'm sure I'd love the other ones (pretzel bread?!) but my hand always reaches for the old standard! I like the chicken and jalapeno pretzel bread flavor although I haven't eaten them in quite some time. You got to go with the Pizza lean pockets all the way! I've loved the Philly cheesesteak ones since my college years!! The Sweet and Spicy Asian-Style Beef. The Breakfast pockets are the best! Pepperoni pizza is my favorite variety. I love the Philly Cheese Steak flavor. My favorite is the philly cheesesteak. My favorite are the Chicken Parmesan Lean Pockets!! Yummy! Actually I've never eaten a Lean Pocket. I really like pretzel bread, and turkey/bacon/gooey cheese sounds unbeatable, so maybe I'd better check these out next time I'm at the store. My favorite Hot Pocket is Steak and Cheddar. My favorite hot pocket is the chicken, broccoli and cheddar. Not to be a debby downer but do you need to include a sentence in your blog stating that this post was sponsored? I like the Chicken Parmesan Lean Pockets. Lean Pockets APPLEWOOD BACON EGG & CHEESE is my favorite. I like the Four Cheese Pizza Lean Pockets. My favorite is the Garlic Chicken Pizza. Great for days when I need a quick lunch. My favorite lean pocket is the Sausage Egg and Cheese Whole Grain Crust. guess I love breakfast items a lot. My favorite is the Chicken Broccoli and Cheddar variety. My favorite is the reduced fat pepperoni pizza. Thanks so much. My favorite is the Philly Steak & Cheese Lean Pockets. I actually have never had either, but I would like to try the turkey, bacon and cheese lean pocket. I've never tried them before but you can't go wrong with anything that has bacon in it, so I'd definitely try that kind. I love the pepperoni pizza lean pockets! I've never had one -- the lean pocket chicken and broccoli one sounds good, though. I love the bbq chicken in the pretzel lean pocket! Can you believe I've never tried them? The Sweet and Spicy Asian-Style Beef flavor sounds pretty good, though. I love the pepperoni pizza hot pockets! I like LEAN POCKETS BBQ CHICKEN. I've never tried any, but the BBQ Chicken on Pretzel Bread sounds best to me. I like the Ham and Cheese Hot Pockets. I recently tried the Lean Pockets Garlic Chicken Pizza and really liked them. New quick lunch--yay! The Philly Steak & Cheese! Yum! I like the Garlic Chicken Pizza! I haven't had Lean Pockets in a long, long time. But I think the garlic chicken pizza flavor sounds amazing! I like the pepperoni flavored ones. My favorite is the Philly Steak & Cheese but there are so many flavors you just can't go wrong. I have actually never tried Lean Pockets, so I don't have a fav. That said, it appears there is only one variety that might be vegetarian and that is the FOUR CHEESE PIZZA. I would have to see the ingredient list to be sure though. I like the chicken, broccoli and cheddar. My favorite variety of Hot Pockets are the Sausage, Egg & Cheese. Croissant Crust flavor. I'd like to try the LEAN POCKETS GARLIC CHICKEN PIZZA. I like FIERY JALAPEÑO LIME CHICKEN. I love the Ham & Cheese Hot Pockets. I've actually never tried these before, but you have me curious now I would like to try the four cheese pizza flavor first! I would love to try the pretzel. I probably usually like to eat the Philly cheese steak or pizza.